For nine months out of the year, while "The Bachelor" and "The Bachelorette" are not filming, a regular family lives in the show's famous mansion. 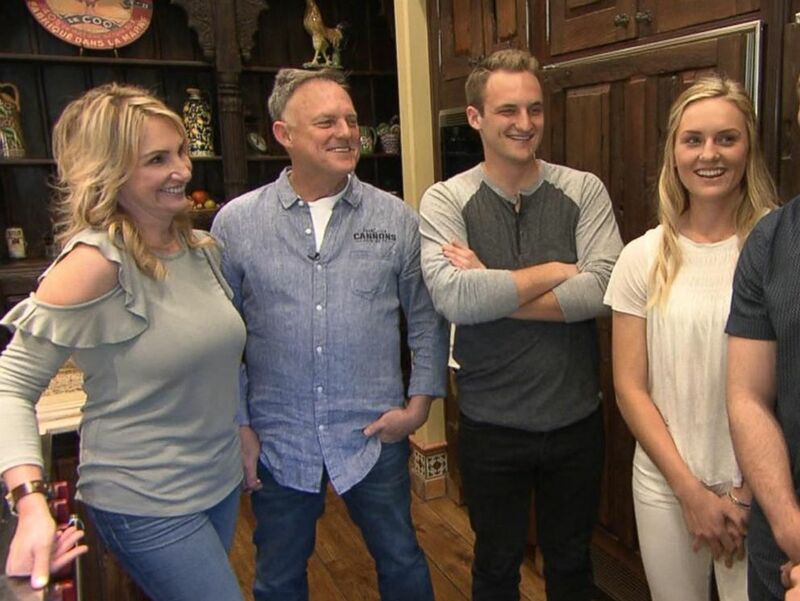 Twice a year, the Haraden family moves out of their Agoura Hills, California mansion and stays in a hotel for six weeks while the show is filmed. During that time, their home is transformed into the "Bachelor" mansion that millions of people see on TV. "We move everything out, pack it up," Marshall Haraden Sr. said in an interview with "Good Morning America" that aired today. The room where the "rose ceremony" takes place is also the room where brothers Nick and Marshall Haraden Jr. play pool, the family added. Jessica Haraden, the daughter, admitted that she was a big fan of the show. "I love Chad," Jessica Haraden said, adding that she told the "Bachelorette" star that this was her house when she saw him at a restaurant, and "that’s probably the only reason he talked to me." ABC News' Nick Watt interviewed the family that lives in the "Bachelor" mansion while the show is not being filmed there. Marshall Haraden Sr., a contractor, said that he and his wife designed the house together and that he built it himself. He added that he is hoping to build a second one close by, "I’ve got the dirt next door and I’ve got the plans, I just haven’t built it yet." The family said that many tourists show up to the home, hoping to get a peek at the TV personalities inside, and are often disappointed to find out that the show is taped as well as that real people live in the home for most of the year. Nick Haraden said that sometimes his father even lets fans inside to take a look. "Sometimes, you know, he’s not having it. They have got to turn around," Nick said. "Other times he’s like, ‘Yeah, come on in, I’ll show you around.’"